Our people are very important to us, as is making certain we provide you with the best possible professional financial advice. Below is a short biography of each of our colleagues together with their contact telephone number. For further contact details please see our "Contact Us" page. The Financial Conduct Authority does not regulate Trusts, Tax Planning, Estate Planning and Will Writing. Tony joined the financial services industry with Barclays in 1990, after 13 years with the Inland Revenue and HM Customs and Excise. His career spans periods with J Rothschilds, Lighthouse Group, and The Legal Brokerage. 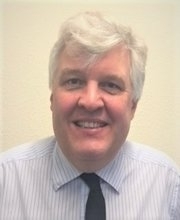 His 28 years’ experience lends itself to focussing on his wide range of clients, primarily in the South of England. He believes that financial advice should not solely be the preserve of the wealthy but available to all who need it or want it, at an affordable cost. Tony lives in Sussex and is married with 6 children and also loves going to the Amex to watch Brighton & Hove Albion. He is a business mentor for the Prince’s Trust and Principal of Touchstone Financial Ltd.
Hollie comes from a background of financial services, working for Lloyds TSB and more recently within a partner of St. James’s Place. Within this role, she was a Personal Assistant to one of the company Directors, whilst also partaking in para-planning duties. 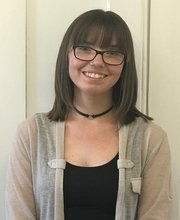 Hollie is Personal Assistant to Tony Adams and is committed to helping clients, ensuring their everyday needs are met and acted upon as quickly and efficiently as possible. In her spare time, Hollie enjoys reading, beauty tips and a good TV drama series, such as Line of Duty. 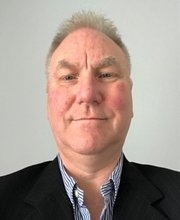 Having previously been a qualified proof reader in the printing industry for 16 years, Jeremy has spent the past 17 years in financial services in one guise or another, firstly as a mortgage broker and insurance broker, then Diploma qualified financial adviser for pensions, investments, equity release etc. 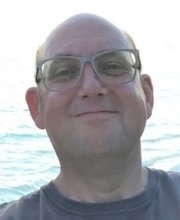 Jeremy is married with two sons and is an avid Brighton & Hove Albion season ticket holder, as is the rest of his family, and loves R&B/soul and jazz music. Simon has been in the Financial Services Industry since 1992, initially with Legal & General specialising in Pensions and Investments. In 1995 he switched his focus to Mortgage arrangement and Protection, remaining in this field until 2007 when he became a Financial Adviser, returning to his Pension and Investment roots, but remaining very active in the Mortgage and Protection arenas. In 2012 he achieved Diploma status and now provides financial advice covering all aspects of his clients’ financial needs including Will and Trust arrangements. He now works almost exclusively through referrals from existing clients, their friends, colleagues and family members. Simon has been married for 30 years, has two children and is a passionate SCUBA diver achieving Dive Master status in 2010. 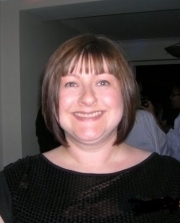 Marie started her financial journey with Nationwide Building Society in 1986. Gaining experience and working her way up the ladder, she became CeMAP qualified and successfully managed several North London branches. After 18 years’ service, she took a break to raise her family and entered the world of education. In September ’17, she returned to financial services as Simon Smith’s personal assistant supporting him and his new and existing clients. Marie has been married for 22 years, has two teenage children and lives in London. 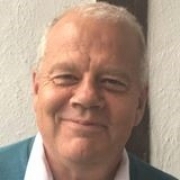 Bob joined Touchstone Sussex at the end of 2017, having been in the financial services industry for over 30 years. He holds his Diploma status in the wealth management arena, which enables him to provide advice in financial & estate planning, which includes Pensions, Investments, Protection and mortgages for his clients. Married with 4 children, in his spare time Bob likes taking his son to watch Rugby, loves walking his dog, Dexter and pops down the gym when he can. Steve has been in financial services for over 20 years with companies such as Lincoln, St James`s Place and now with Touchstone. He is proud to have many long-term clients, some of whom have been with him his entire career. Most of his clients are referrals from existing satisfied clients, who have pleased with his service and are happy to refer him. Steve covers all financial planning needs, from Mortgages and protection to pensions, savings, Wills and Tax planning.